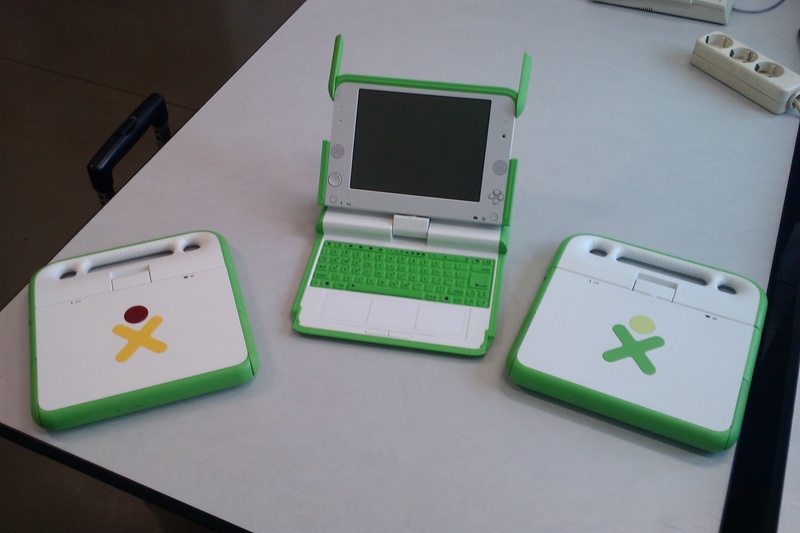 The project One Laptop Per Child (OLPC) has provided millions of kids world wide with a low-cost connected laptop helping them to enhance their knowledge and develop learning skills. Learning a foreign language, getting an introduction to reading/writting or preserving/revive an endangered/extinct language are among the possible usages of these XOs. Such activities could take a significant benefit from a storage layer optimised for multi-lingual and loosely structured data. One of the building block of the Semantic Web, the “Triple Store”, is such a data storage service. A triple store is like a database engine optimised to store and provide access to triples, atomic statements binding together a subject a predicate and an object. For instance, <Amsterdam,isLocatedIn,Netherlands>. And these two triples would define two different names for two different languages: <Amsterdam,isLocatedIn,”Netherlands”@nl>, <Amsterdam,isLocatedIn,”Pays-Bas”@fr>. SemanticXO is a new project from the contributor program aimed at adding a triple store and a front-end API on the XOs’ operating system. This triple store will extend the functionalities of Sugar with the possibility for all activities to store loosely structured/multilingual data and easily connect information across activities. In plus, the SPARQL protocol will allow for an easy access to the data stored on any device. This is the first post on this blog, aimed at giving and pointing to information about the Semantic Web. The Semantic Web (or Web 3.0) is a new technology and research topic aimed at putting more semantic into the Web as we know it. The changes are happening, in a not so visible but very concrete way for you, user of the Web. On this blog you will learn more about it and how you can benefit from it, whoever you are.